Lifetime Achievement Award Recipient Geoffrey Mason was announced as the keynote speaker for the 2012 NAB Show “Creative Master Series.” Mason will participate in an in-depth interview titled “Mason Unplugged” and will be joined by one of sports television’s most respected and honored journalists, ESPN anchor Bob Ley. Jodi Markley, Senior Vice President/Operations for ESPN, will present Mason with the New York Festivals Lifetime Achievement Award at the NYF Television & Film Awards ceremony taking place at the annual NAB Show in Las Vegas on April 17th. "It will be both an honor and a privilege to present Geoff with the Lifetime Achievement Award as I know no one more worthy,” said Markley. “I was blessed to work alongside Geoff for over six years at ESPN International..."
New York Festivals® International Television & Film Awards, Lifetime Achievement Award Recipient Geoffrey Mason was announced as the keynote speaker for the 2012 NAB Show “Creative Master Series.” Mason will participate in an in-depth interview titled “Mason Unplugged” on April 17th at 9:30AM. He will be joined in a free-wheeling conversation with one of sports television’s most respected and honored journalists, ESPN anchor Bob Ley. Mr. Mason is one of sports broadcasting industry’s most accomplished executives with more than 40 years of domestic and international production experience, including seven Olympic Games, six World Cups, and multiple America’s Cup races. He has worked for ABC, NBC, Fox, ESPN, and NFL Network, and has over five decades in the business, mentoring hundreds of co-workers along the way. Bob Ley, acclaimed sports journalist, joined the ESPN network in its first week of operation and 32 years later is synonymous with excellence in investigative and breaking news coverage thanks to his work as an anchor on SportsCenter and Outside the Lines. 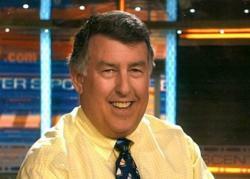 He also is a staple of ESPN’s soccer coverage, a personal passion, including the FIFA World Cup. Jodi Markley, Senior Vice President/Operations for ESPN, will present Mason with the New York Festivals Lifetime Achievement Award at the NYF Television & Film Awards ceremony taking place at the annual NAB Show in Las Vegas on April 17th. Ms. Markley is charged with overseeing global operation units for ESPN. A 23-year veteran with ESPN, she is directly responsible for managing more than 850 employees who oversee all operations departments that produce content for multiple ESPN platforms. New York Festivals 2012 Television & Film Awards ceremony will shine the spotlight on the World’s Best TV & Films™, as well as present the Lifetime Achievement Award, Broadcaster of the Year, Production Company of the Year, and United Nations Department of Public Information Awards. 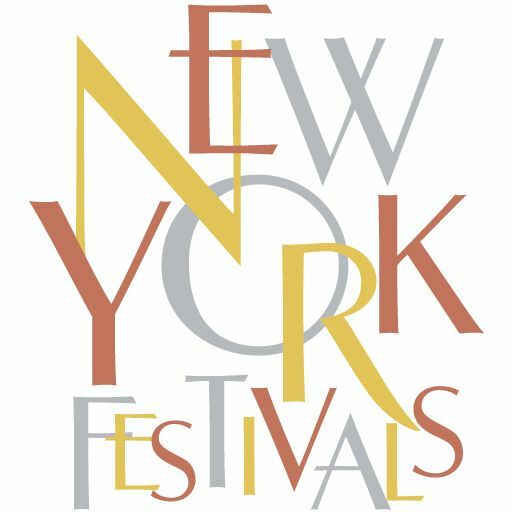 To purchase tickets and for a complete schedule of events go to: http://www.newyorkfestivals.com/nabshow2012/nyf_show.html. This year’s NYF Television & Film Awards media sponsor is ProductionHUB, an online marketplace for broadcast TV, motion picture, pro video, live event, corporate & digital media production. ProHUB connects media & entertainment professionals with those seeking industry products & services. Since 1998, this vertical B2B has grown to become the world’s largest and most active production community search site, attracting more than 4 million searches annually. International Awards Group (IAG), founded in 1957, organizes advertising and programming competitions for the following brands: AME Awards® for the World's Most Effective Advertising™; Midas Awards® for the World’s Best Work in Financial Marketing & Advertising™; The Global Awards® for the World's Best Healthcare Advertising™; New York Festivals®; World's Best Advertising™; World's Best Radio Programs™ and World's Best Television & Films™. Entries to each of the competitions are judged around the world by panels of peers in their respective industries. For more information, go to http://www.InternationalAwardsGroup.com. NAB Show, held annually in Las Vegas, is the world's largest electronic media show covering filmed entertainment and the development, management and delivery of content across all mediums. With nearly 90,000 attendees from 151 countries and more than 1,500 exhibitors, the NAB Show is the ultimate marketplace for digital media and entertainment. From creation to consumption, across multiple platforms and countless nationalities, the NAB Show is home to the solutions that transcend traditional broadcasting and embrace content delivery to new screens in new ways. Complete details are available at http://www.nabshow.com. The National Association of Broadcasters is the premier advocacy association for America's broadcasters. NAB advances radio and television interests in legislative, regulatory and public affairs. Through advocacy, education and innovation, NAB enables broadcasters to best serve their communities, strengthen their businesses and seize new opportunities in the digital age. Learn more at http://www.nab.org.